Warning: You are about to enter the wild side of grilling! Weary of the same old crusty burgers, tough steaks and dried-out chicken breasts? Then say goodbye to boring! Use the perfected instructions inside this book to serve a perfectly grilled, yet simple entrée... or turn up the heat and go wild! Tangy marinades, savory rubs, zesty basting sauces, and flavorful salsas will give your grilling just the kick that’s been missing. 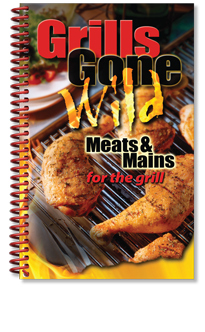 So take a walk on the wild side to discover a fresh, new world of grilling – you’ll never look back!